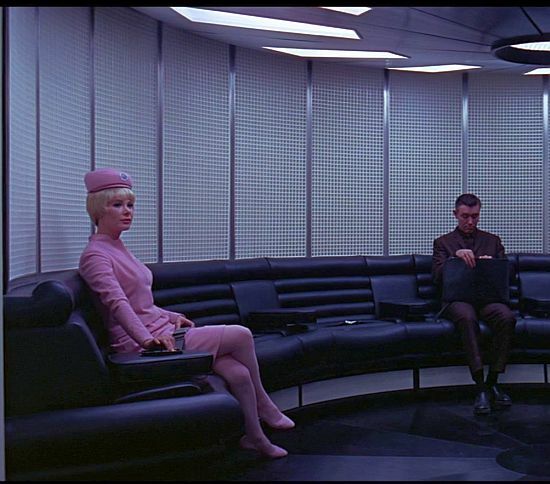 For years, little information has been available on the supporting actors in 2001: A Space Odyssey. In the official list published by MGM (reprinted almost verbatim for decades in all the books dedicated to Stanley Kubrick and the movie) only very few characters had a name, and for even fewer we knew the related actor who played them. After Kubrick's death one of his longtime assistants, Anthony Frewin, published on the website of Warner Bros a list of the actors and all the technical cast of 2001; but, again, after some more scrutiny, the list appears to be incomplete. Of the stewardesses who appeared in the movie, for example, only three are connected to the correct actress; and the popular site imdb.com has copied the list of Frewin, making very few changes. May have some of the names been omitted because of Actor Unions' rules? The plot thickens! One of omissions was the name of Maggie London, stage name of Margaret Lyndon (a very Kubrickian name!) that after marrying singer Mike D'Abo is known today as Maggie D'Abo. Mrs.D'Abo played the hostess who welcomes Dr. Floyd in the elevator of the Space Station V.
Mrs. D'Abo was kind enough to grant me a short interview in which she tells us about her experience on the set of 2001. In 1966 you were a succesful model in London, and your acting career started with some uncredited appearances, most notoriously in the Beatles movie Hard day's night. How did your involvment in 2001 came to be? My friend actor Terence Stamp knew the casting director for 2001, and suggested she meet with me. I met with her and Stanley Kubrick at the MGM Studio in Boreham Wood. I was considered fot the part of the passport girl, but I was dropped (probably because my American accent wasn’t quite authentic) but I was given another part which happened to be the first spoken words in the movie - following half hour of Strauss music with no dialogue and brilliantly choreographed men in ape costumes waving their clubs! How long did the experience on 2001 lasted (from the casting to the last presence on the set)? What should have been a few days work turned into three or four weeks. Stanley had three sets going at the same time. We would be made-up ready to shoot at 8am in the early morning, and our director would have inspiration for something on another set, so we were left waiting for his return for a couple of days or maybe a week. These days turned out to be fun for me because I spent the time getting to know the actors Keir Dullea and Gary Lockwood, the astronauts in the lead roles, and William Sylvester (whose scene I was in). What is your recollection of the actors you worked with? Neither of the two astronaut actors was well known at the time, and they seemed a bit lost not knowing many people in London. Both were great guys and only they knew they were part of a huge and landmark project for which they had been cast. It was to be a classic movie for all time. One could argue that the ‘star’ of Stanley’s movie was ‘Hal’, the computer with the calm but scary voice... Also, William Sylvester was funny and a very seasoned actor in the United States. 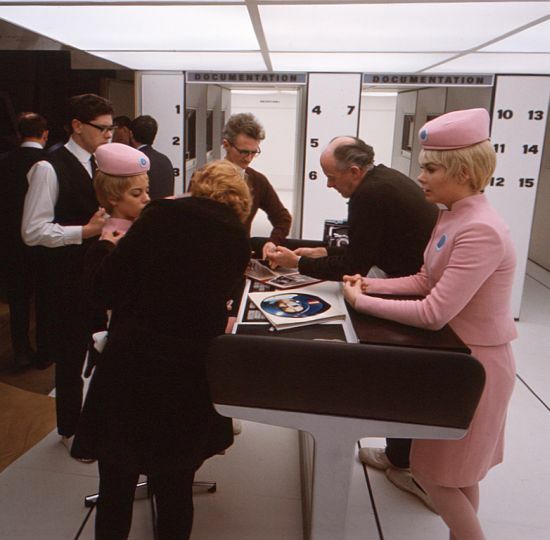 The production of the movie was undoubtedly complicated - director Stanley Kubrick was under huge pressure for budget and time concerns. Accounts of life on the set, though, don't seem to reflect this tension. What is your memory of the famous director? I never saw any signs of tension on the set. He was soft-spoken and very pleasant. I just remember seeing him lost in thought with the perfection of his project obviously on his mind. Was it planned to have you in other scenes of the movie? So much was cut from the final cut, that my other scenes would have ended on the cutting floor! I've been puzzled by the fact that your name, along with other actresses who played speaking characters, never appeared in the credits. I don’t know why this happened, but Dave Larson (writer of a forthcoming book about 2001) was in touch with me a lot when he was writing his book, and I attended the 40th.Anniversary of the movie in 2008 and Tom Hanks (the host of the evening) was on stage and asked me (in the audience) to please stand up and give some stories if I had any. So I guess they somehow found out that I was the only original actress of the movie still in L.A. They had wanted me on stage, but I declined. Do or did you know any of the other actresses who took part in the movie? Sorry, I don’t know any of these girls since I moved to U.S. I did know Edwina Carroll socially in London. (note: Mrs.Carroll played the hostess that "walks on the ceiling" of the lunar shuttle). Do you remember the first time you saw 2001 at the cinema? What was your reaction? To be honest with you I really didn’t understand it until much later when I saw it again, and all my friends were raving about the movie itself! Would you add something about your later career? I live in Los Angeles. Soon after the movie, I married and had two children. Olivia d’Abo, my daughter, had a big career; she appeared in Broadway with ‘The Odd Couple’, many episodes of ‘Law and Order’, 'Conan the Destroyer' - her first movie, when she was fifteen - ‘The Wonder Years’. 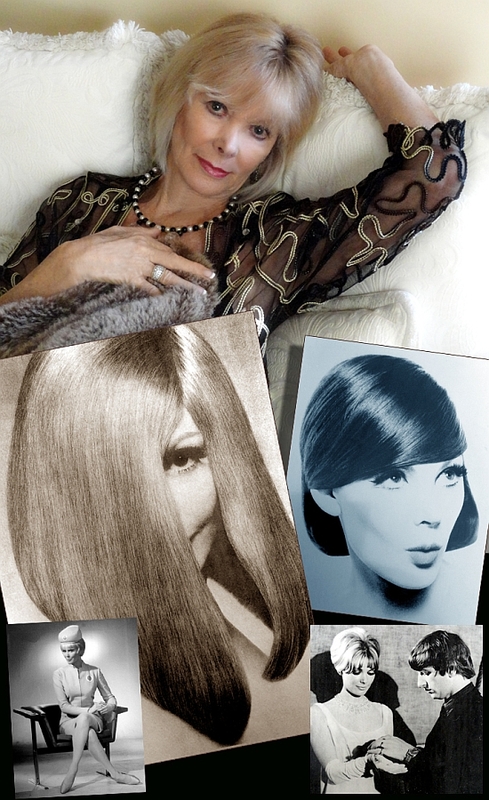 I managed her career and guided her through the early years of filming. One last question: do you have a good relationship with the movie today, I mean was it significant in your life, in retrospect? Do you feel proud to be associated to it? I'm very proud to have been associated with 2001, although such a small part. Every film buff is in awe when they know I was in it. That movie seems to be part of history, which is even more significant now that everything in the movie business is computerized.